The mother and daughter of one of Portland’s most powerful real estate developers, Bill Naito, said she felt powerless. 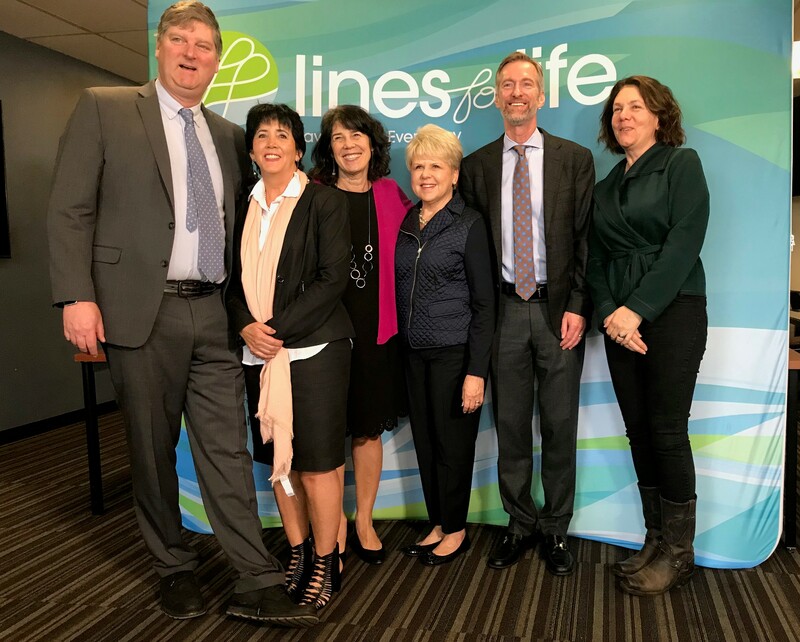 That experience motivated Naito-Campbell to donate $1 million to Lines for Life, a nonprofit that aims to prevent suicide and substance abuse prevention in Oregon, she announced at Friday press conference. The money will come from the Naito family’s sale of Montgomery Park and the Tiffany Center. It will help jumpstart an endowment meant to financially secure Lines for Life’s future work. Portland Mayor Ted Wheeler and Multnomah County Commissioner Sharon Meieran also spoke at the press conference about the impact of the large investment as the state experiences a mental health crisis. Oregon has one of the worst suicide rates in the country, exceeding the national average for more than three decades. In 2017, 825 people in Oregon killed themselves, more than two people per day. More than 770 Oregonians took their life in 2018, giving Oregon the 16th highest rate in the country. Lines for Life is working to bring down the number of suicides. In 2018, they took more than 110,000 calls, texts and emails from people considering suicide, according to a press release. They deescalate 95 percent of their crisis calls, the release said. The organization raised about $8 million last year and served 120,000 people, Holton said. The Lines for Life investment is one of nine donations — totaling $5.5 million — that the Naito family plans to make in addressing Portland’s largest social issues, Naito-Campbell said. They will also donate to Central City Concern, the Raphael House of Portland, the Portland Audubon Society, The Oregon Historical Society and the medical foundation of Naito-Campbell’s cousin, Ron Naito. Naito was diagnosed with stage-four pancreatic cancer in July.